The comfort of the saddle is definitely subjective, there are saddles for trial, freestyle, long trips .... let's say, for all specialties! 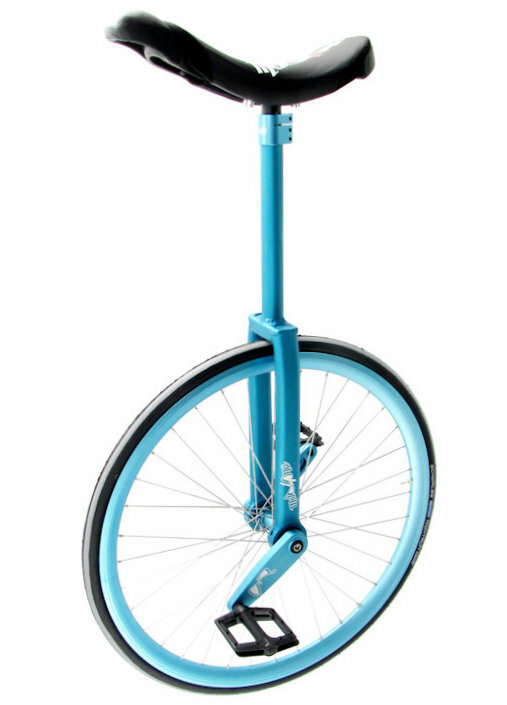 In Trial, Flat and Street it is important the easy handling of the saddle because it will be used as "handle" to better manage the unicycle. For this reason the thinner it is, the more comfortable it will be. In Freestyle the saddle should be as flat as possible to make easier the In and Out with a high saddle. For long trips it is important that we adjust our saddle as much as possible with the front part upwards so that we do not slip and rub against the saddle. 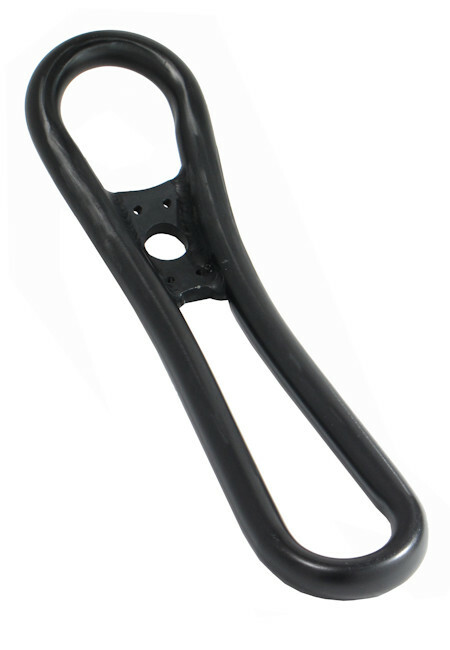 Remember that if you want to reduce the weight of your saddle you can replace the inside with a carbon one, lighter and more resistant than plastic! 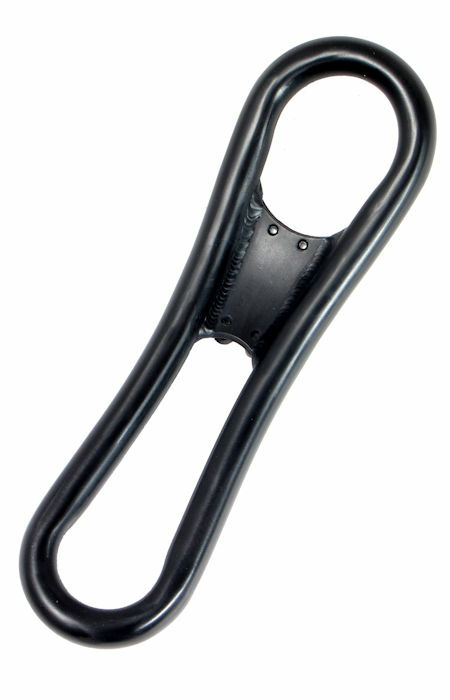 Below the measures of the standard attack used in all saddles today available on the market. There is also a different attack with different measures, usually used for cheap products made for the Asiatic market. If you want to change the saddle and you have a different attack you have to change also the seat-post, pay attention to the diameter of the seat-post! (in general 22,2 but it can be also 25,4 or 27,2). Below you find the TRADITIONAL SADDLES designed and produced by us under the brand Mad4One and URC, both in the version SLIM and COMFORT and in the colors actually available. 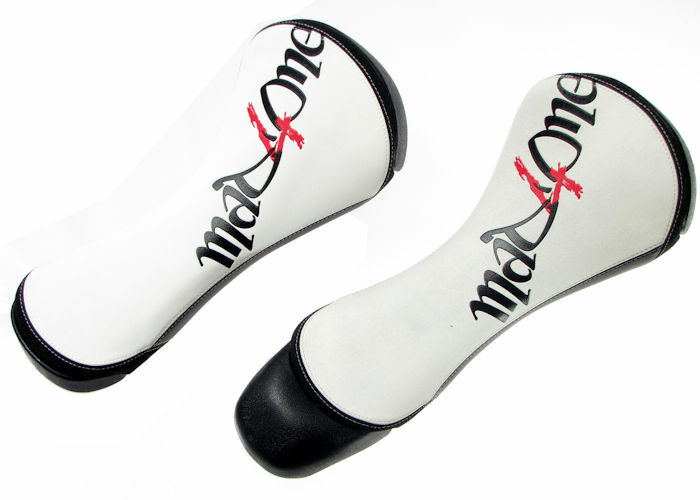 2017/18 Mad4One develops and tests and in 2018 it produces a new saddle, surely revolutionary for the unicycle, called HandleSaddle. 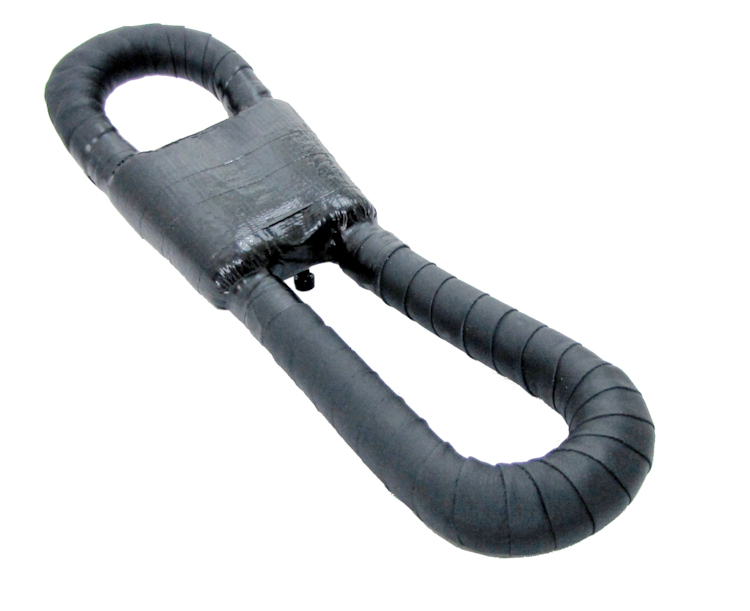 The traditional plastic structure with bumper and cushion is abandoned, which is not particularly stiff and strong and in some disciplines is even felt too bulky. Priority is given to the "easy catch", the "manageability" and the "freedom of movement". 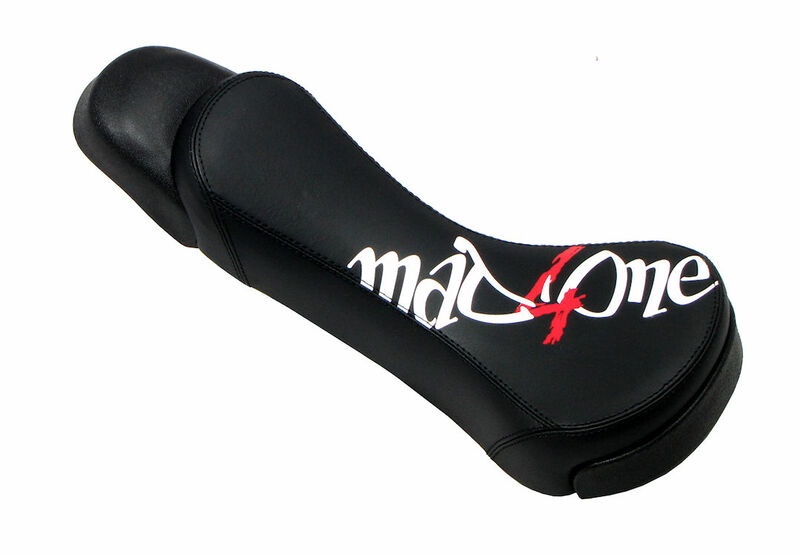 It is a new concept of saddle that Mad4One brings today on the market, with a weight nearly half of the one of a traditional saddle, however stiff and strong as a traditional saddle with a carbon base, compared to which it is still lighter. Here the first comments of RACE Riders (please click on the image below to read the interview). Here Ben Soja using the HandleSaddle in MUNI. 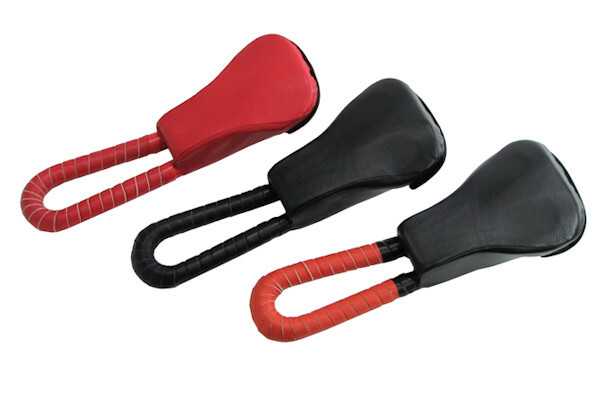 To switch from a traditional saddle to the HandleSaddle is not an immediate step. It is somehow a revolution that needs constancy, will and .... you must believe, that you will succeed. The advantages are just around the corner. From the experience of some Expert Riders: "...... put aside your old saddle and start riding on the HandleSaddle, let's train, do not go back to the old one, though it will seem to be easier. At the beginning,you will feel strange, but believe me, just go on, ..... a new "world" will open in front of you.....".